Archaeologists in Greece believe that they have unearthed the ancient Hellenic city of Teneya, which was allegedly founded by king Agamemnon and captured by the Trojans after the Trojan war. 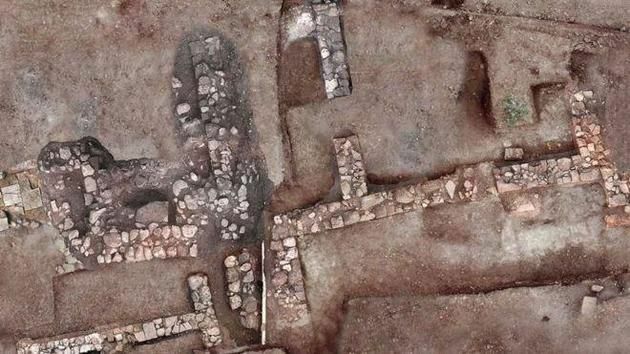 Archaeologists announced that they have found remains of the dwelling village, jewelry, coins, and several graves in the southern part of the Peloponnese. The Dating of the Trojan war is disputed, but most scholars date it to the turn of the XIII-XII centuries BC. Until now, archaeologists had only a clear idea of the whereabouts of the city, but they had no evidence. Found objects belong to the IV century BC. Excavations around the modern village Clomod began in 2013, evidence of the existence of this place Tine appeared after a series of excavations, conducted in September-October this year. Archaeologists have discovered a neatly built wall as well as clay, stone and marble floors. It was also found about 200 rare coins, including one coin intended to pay for the journey to the afterlife. Were found seven graves, including one with the remains of a woman and child. Graves decorated with vases and jewellery. Leading archaeologist Helen Kirk reported that the findings indicate a significant welfare of the residents Tune. According to her, the city was located at the intersection of trade routes between Corinth and Argos in the Northern Peloponnese. "The city was making pottery in a certain style, which traced the influence of the East, the city maintained contact with the East and the West. He had his own way of thinking, which has developed its own policy." About Taney little is known reliably. After the founding of the city developed. In the VIII century. to Dr. E. Teneya became part corpsm state. In the beginning of VII century. to n. e the city has added to his possessions Argassi king FDO. During the reign of his descendants Teneya became independent. At the end of the VI century. to Dr. E. Teneya became part Peloponnesiaca Union. During the Achaean war (146 B. G. E.) tenac revolted, came out of the Achaean Union, and defected to the Romans.